Spike Chunsoft has risen to prominence in recent years thanks to efforts like Danganronpa and Zero Escape, among others. 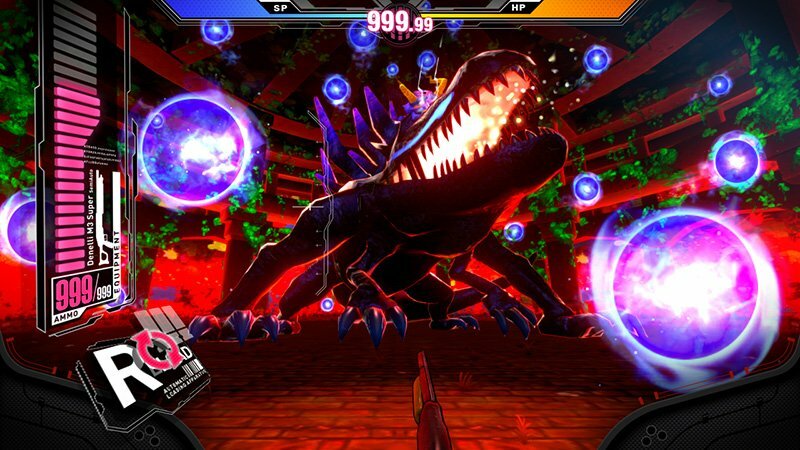 Its latest entry to arrive in the west is a dungeon-crawler created alongside Lancarse, developer of Lost Dimension, titled Zanki Zero: Last Beginning. Some themes and elements certainly follow along the lines of the Danganronpa series, which has a few of its key staff members involved here, such as the attempts at shocking reveals and an overall classic arcade feel to the UI. However, despite bringing plenty of ideas and a deep set of systems, Zanki Zero never quite coalesces into a strong all-round experience; instead, many of its elements just seem to float on top of each other for an enjoyable but not resolute offering. Zanki Zero: Last Beginning takes place on Garage Island, a floating island in the middle of the ocean surrounded by ruins. Eight people find themselves waking up on the island, and it is quickly revealed through a TV show broadcast that humanity has been wiped out and these supposed remaining people are cloned creations. Furthermore, all except one of them have reduced lifespans of just thirteen days, which includes an immediate and painful aging process, with survival further hindered by life-threatening dangers that fill the nearby floating ruins. Fortunately, the island has a special Extend Machine that will revive them with their memories intact as long as someone is still alive to retrieve and place in the machine the X Keys that are embedded where all of their belly buttons would normally be. Each chapter takes the viewpoint of one of the island survivors as they go through the next set of ruins to drift to the island, each of which has a strong connection to said survivor and their supposed past sin, based on the seven deadly sins. The combination of the island ruins, coupled with videos of the characters’ past provided by the Extend TV show, creates a sense that not all is as it seems, but the cast ends up with little choice other than to follow the instructions from Extend TV and investigate the ruins if it wants to do anything other than be stuck in that cycle. As one would expect from Spike Chunsoft at this point, there’s a curious mix of characters. Zanki Zero relies too much on shock value, making it feel like an attempt at papering over a fairly weak and ultimately quite silly overall plot. The hosts of Extend TV, a young boy named Sho and a sheep named Mirai, attempt to add humour, which is sometimes successful but many other times just bizarre and downright grating. Later reveals cast some interesting light on how the world got into its current state and why these particular people are chosen, but also comes at the cost of relegating earlier key points to red herrings and rendering them ultimately pointless. Fortunately, the interactions between the characters are enjoyable. Zanki Zero does a nice job of building up camaraderie and creating and resolving inter-group conflicts, which is just as well as there’s no outside force to generate those conflicts until the very end. The final sequences wrap a nice emotional bow on everything, but it’s not enough to fully salvage the plot’s odd earlier steps and some rather poor justifications and characterisations on the part of the antagonists. Zanki Zero has an awful lot of systems for players to work both with and against. The game features first-person grid-based exploration, with combat taking place in real time. Players can have up to four members in the active party, but members can be swapped in and out at any time. Most attacks made by the party will be in melee range, which only strikes the enemy directly in front, though there are some ranged options with ammo requirements. Each attack button press causes the current active character to attack, though it will automatically swap to the next character if the active one is waiting to recharge their attack. This is complemented by a more powerful charge attack made by holding down the attack button; holding it down longer lets others join in the attack for a more powerful combo. Players can also unlock further enhancements called Clione that are surgically implanted into characters by the Extend Machine to unlock extra special abilities, though the control system makes these more awkward to use than they could’ve been. Charge attacks are very useful for helping to disable enemies, many of which have body parts that can be destroyed, preventing them from using certain attacks. This is particularly important for boss fights, which easily provide the most interesting battles of the game. In addition to the powerful attacks that party members will need to mitigate by destroying parts before they have any hope of defeating the boss, there are often tricks to the battlefields that also need to be overcome or taken into account. On the other hand, there can be some very annoying random encounters. All enemies can hit very hard and combat is always about moving into and out of range very quickly. This is fine in the boss fight arenas, where there is space to move around in, but it can be annoyingly easy to get stuck in the cramped confines of many of the regular ruins with little option than to either retreat or load a save — in addition to infrequent save points, there is an autosave that kicks in every time players change maps or floors. The game is all about dying. Many times. Unless playing on the trivial difficulty, in which case only sometimes. As players progress through dungeons, days will pass and characters will age. Each stage of life has different benefits and drawbacks; for example, in the child stage characters will be weaker and able to carry less with them. Dying is a fundamental part of the game and a key element to improving characters. This is fine for those who don’t mind frequently retreading their steps, but the less patient will find that aspect a potential source for frustration, particularly when certain enemies show up later on, such as those that silently rush the player when out of vision. The basics of combat are easy to get the hang of, but there is not much to it after that point and it leaves players with very limited tools to actually get out of a tough situation. The game is more about trying to prevent getting into situations than offering tools to overcome them. Combat isn’t the only thing players will have to keep a handle on. Item management and crafting play important roles, with each character having both a weight limit and maximum of eight sets of items they can carry. Characters not in the active party don’t have to worry about weight limits; however, if anyone dies then all items and equipment they have are dropped and will either need to be picked up by others or left in the dungeon in the hope that players can return to grab it once the character is revived. Players may also need to keep on top of their party’s stress, bladder, and stamina levels. Wandering around dungeons and being in combat will use energy, which can be replenished by food, but this in turn will put the character in potential need of finding a toilet to relieve themselves. Not keeping on top of this can result in rather unsanitary deaths. With all of the ways to die in the game, it would be most annoying if there wasn’t at least something gained from it. 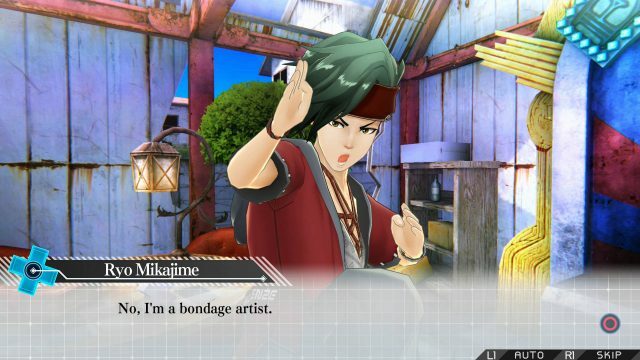 Thankfully, Zanki Zero provides this in the form of “Shigabane”. Whenever a character dies from some new element — such as dying to a particular creature, particular attack, while suffering a status effect, in a certain age range, etc. — they receive a new Shigabane from the Extend Machine. This grants an appropriate passive bonus such as resistance to that type of attack or creature, an increase to defence or attack, or even an extension to their lifespan. First encounters with new enemies will almost invariably result in death, but this provides some solace as at least something beneficial comes out of it. Further character growth comes from regular experience-based leveling, which also grants skill points that can be used to add passive bonuses or new abilities to aid survival such as crafting or cooking. The end of humanity has led to some interesting fauna. Zanki Zero is designed to be challenging, and it certainly is for the most part, but the way the systems are set up makes them feel stacked on top of each other rather than being fully connected. Perhaps the best showcase of this is its somewhat arbitrary difficulty system that simply turns various subsystems off or on, with the lowest difficulty — added post-release in Japan — simply giving up and removing all elements of combat and danger, turning the game into an almost straight visual novel-slash-pathfinding game. Higher difficulties promise extra rewards, but these don’t really provide any extra benefit to make up for the loss of a comfortable difficulty. The visuals feel more functional than anything, but the game is nice to look at with good variety across its locations and some neat designs in the characters and enemies. The usually switch-based pathfinding puzzles are enjoyable and well thought out, though get highly frustrating when enemies insist on becoming barriers to progress in tight areas. Some of the controls and UI elements are awkward and tough to get a handle on, particularly for item management and some of the deeper elements, which adds to the feeling that they are just there to add difficulty instead of integrated depth. Zanki Zero‘s audio is understated; voice acting is decent but limited to key scenes and the Extend TV portions of the game, a decision that may have been made in part due to the need to accommodate characters being in different life stages with different voices. Meanwhile, the music can go entirely unnoticed by players, but again this appears to be mostly as a result of audio cues being an important element of exploration. Zanki Zero doesn’t offer as wide of an appeal as it could, but it will still likely be able to find a dedicated following that appreciates the layers of challenge it offers. It will work well with those who enjoy having to manage multiple systems, but many others will find the juggling frustrating, particularly when the UI and controls make it more difficult than necessary. Meanwhile, an overall reliance on shock tactics coupled with a general lack of strength in the themes means the narrative simply doesn’t have the weight behind it that many would’ve hoped for. However, there is an appreciation to be had that Spike Chunsoft and Lancarse have come in with plenty of ideas, even if they don’t stick the landing quite as well this time around. Capcom’s open-world action RPG Dragon’s Dogma: Dark Arisen is now out on Nintendo Switch. The game is available for $29.99/£24.99/€29.99. The Switch version includes the ability to share Pawns online, with a Nintendo Switch Online membership not required to access the online features. Dragon’s Dogma was originally released for PlayStation 3 and Xbox 360 in 2012. Dark Arisen is an expanded version of the game, released for those same platforms in 2013 and later also released for PC and PlayStation 4, and includes a large new dungeon and story content set on Bitterblack Isle. Those interested in reading more can read RPGamer’s reviews of both the original game and the Dark Arisen content. 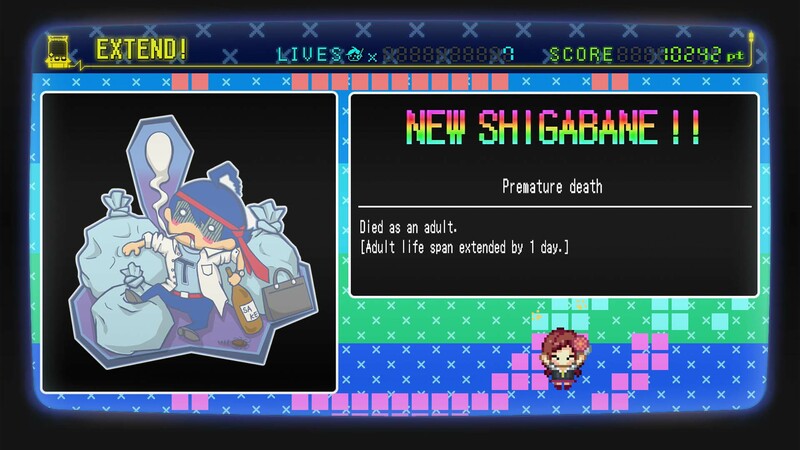 Criminal Girls X developer Mikage has recently released some information about the upcoming game. The game is planned for a free-to-play release with microtransactions on iOS, Android, and PC in February 2020; however, Mikage is also planning a pay-once premium version in May 2020. The premium version is contingent on the success of a campaign on Japanese crowdfunding site Campfire, which will begin on April 26, 2019, with a goal of six million yen (around $53,000). Mikage has also released a couple of screenshots, some character artwork, and an image detailing the game’s flow. The game’s combat system utilises what appears to be a shooting-style UI, but it will retain the series’ previous elements where actions taken are based on adopting the suggestions from the members of the party. More information is expected with the launch of a trailer at the end of May. Atlus held the first day of its two-day Persona Super Live 2019 concert event today, at the end of which it provided a new reveal for Persona 5: The Royal. The game will be an enhanced version of Persona 5, similar in vein to Persona 4 Golden with new story content, characters, and other additions. Persona 5: The Royal will continue the game into the third semester of the school year in Japan, which runs from January to April. It will also add in two new major characters. The first is Kasumi Yoshizawa, a transfer student who appeared in the previous teaser. She is a gymnast with new screenshots and the trailer, viewable below, indicating that she will be a Persona user. The second new character is Takuto Maruki, who is a part-time school counselor and forms the new Consultant Confidant for the protagonist. The Royal version will also include new locations, including the district of Kichijoji as well as a collaboration with Dartslive where players can play darts with other characters as well as many other new events. 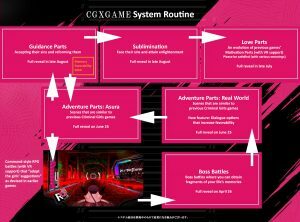 There will also be new potential combat strategies, as well as an option that suggests activities to do for that in-game day similar to Persona 4 Golden. It will include new music tracks from composer Shoji Meguro as well as graphical enhancements on PlayStation 4 Pro. Persona 5: The Royal will be released in Japan for PlayStation 4 on October 31, 2019. Atlus has already confirmed that the game will be released in the west as Persona 5 Royal in 2020. More details about the game will be released on May 9, 2019. In addition, Atlus is set to use the second day of the Persona Super Live 2019 event to unveil the project currently known only as P5S. Harebrained Schemes and Paradox Interactive have announced the release date for the second expansion of BattleTech. An announcement trailer was put together for the expansion, entitled Urban Warfare, while the companies released information on what to expect from the new content. Urban Warfare takes the open battles of BattleTech and places them in dense, urban areas. These areas will feature completely destructible environments, ensuring that nowhere remains safe forever. New electronic equipment will grant defensive bonuses, like protection from enemy targeting systems and indirect fire, while also granting new options for searching hidden enemies out. Two new BattleMechs, the lightweight, electric-focused Raven X1 and the close-range knockout Javelin, will join the roster of accessible fighters while new Flashpoints, three new enemy vehicles, and a new encounter round out the rest of the additions. The release of Urban Warfare is set for June 4, 2019, for the PC. The expansion will be priced at $19.99 or as part of the game’s Season Pass. Bandai Namco has announced that Doraemon Story of Seasons will be releasing on the PC in addition to the already announced Switch edition. The Switch version arrives in Japan on June 13, 2019, while the PC version is coinciding with a worldwide release in fall 2019. Marvelous and Brownies Inc. are helping with the development. Doraemon Story of Seasons is a crossover slice-of-life farming simulator. Doraemon and Nobita are magically sent to a foreign town where the pair decide to help out the locals by cultivating the land and partaking in other activities, while they find a way home. A trailer of the game can be viewed below. Before this April, I’d never considered playing a SteamWorld game. As a primarily turn-based RPG fan, the series was never so much as a blip on my radar. With the release of SteamWorld Quest: Hand of Gilgamech, a turn-based, deck-building RPG, my interest was immediately piqued, and my curiosity was handsomely rewarded. In taking a standard save-the-world RPG tale and populating it with fascinating characters dealing with relatable issues in a beautifully rendered world and adding an addicting, customizable battle system, developer Image & Form has created a true gem of a game for the Nintendo Switch. SteamWorld Quest takes place in the same universe as other SteamWorld games and is presented like a storybook tale about knights and dragons. This storybook motif is wonderfully executed. The game is split into chapters, while the book itself is used as a visual anchor for narrated sections, complete with hand-drawn still images, as well as for navigation through both the narrative and overworld. The overarching story is standard RPG fare: save the town, save the kingdom, save the world, but it’s the characters and the lessons they learn along the way that really make SteamWorld Quest stand out in its storytelling. While a great deal of humor exists in the story, the characters’ more serious, fascinating personal journeys are where the narrative reaches its peak. There is quite a bit of humor to be found in this game, as well as some more serious themes. The main heroines in SteamWorld Quest are Armilly and Copernica, small-town friends who begin the story on a short journey to find a mushroom. Armilly dreams of a life of heroism despite her humble beginnings as a grocer’s daughter. A great deal of the story revolves around how she deals with the constant rejection by the local chapter of the Hero’s Guild and the complications during the meeting with her idol, Ancient Hero Gilgamech. Copernica, a college of magic dropout, also undergoes a bit of a rude awakening when the adventure takes her to her alma mater and an encounter with a certain college professor she’s long had a crush on. These encounters are excellently written and speak to the culture of hero worship and how often that idolization is sadly misplaced. Fellow party members Galleo, who’d much rather stay safe at home on Mom’s basement couch; former hero Orik; and orphaned thieves Tarah and Thayne also have some touching, life-defining moments as the story progresses, all as relevant in today’s world as in this steampunk fantasy realm. Gameplay involves characters moving through side-scrolling areas such as towns, universities, woods, and dungeons to complete chapters of the story. Each area is quite small, perhaps two to three screens wide before characters move to a new room or area and the game autosaves. There are rarely more than twenty areas in any given chapter, making each chapter a comfortable hour or so in length and providing a well-paced story. SteamWorld Quest uses its beautifully detailed layers of graphics to hide valuable treasure chests and small passages behind foreground pillars or breakable boxes, encouraging players to explore every nook and cranny and even sometimes to ignore the dead end the mini map is claiming is there. At the end of every chapter players are told what percent of treasure they’ve found, a nice little detail that encourages replays of chapters to find everything. Saying the battle system in SteamWorld Quest is a great deal of fun is an understatement. Throughout the game players collect punchcards, artfully reminiscent of the old days of computing, that allow their characters to act in battle. There are all the actions one would expect in an RPG: standard attacks, elemental attacks, spells, buffs and debuffs, and even item cards. Each is beautifully illustrated and detailed, showing the cost of using the ability as well as expected HP damage or healing. Cards come in a few different types: some will charge up a steam pressure gauge the party shares, many will require steam pressure to be played, and a few, typically item cards, don’t affect the pressure at all. Players will find new cards as the story progresses, purchase new cards with currency, and upgrade others with specific items dropped by monsters. Battle animations are gorgeously illustrated, as are the hand-drawn cards used to command the characters. Players can take eight character-specific cards for each of three selected characters into battle. Six cards are dealt at the beginning of each battle, with three more dealt each subsequent turn; up to two can be swapped for different cards and three can be played each round. A player’s turn takes place before enemy turns, typically allowing for desired strategies to be pulled off flawlessly. While cards are dealt randomly, well-designed decks can easily be crafted to allow for immediately dealing damage from cards that also build Steam Power for future healing and more powerful attacks. While all this seems a little complicated, in-game tutorials during the first few battles do an excellent job of preparing players for the intricacies ahead. Despite deck-building mechanics, this battle system closely resembles a traditional turn-based system; cards just provide the methods of attack and skill usage. The cards as battle actions work wonderfully with other game features to allow players maximum party customization and flexibility. While party statistics are mostly set by character level and equipment, the cards can change any character’s role in a heartbeat. Players will encounter dozens of cards per character throughout the game, but are limited to eight in their battle deck. A simple switch from fire spells and attacks to ice spells, buffs, and healing can change the character’s role from fire mage to an icy cleric at any time. Enemies are visible on-screen before battle, so once players beat an enemy and learn its weakness, decks can be changed before each encounter, allowing for maximum effectiveness. The battle party can also be swapped out at any time between battles, as only three can participate in each encounter. Unfortunately, party members not active in battle don’t receive experience, but each chapter is endlessly replayable, so a small amount of grinding can be done, up to a non-transparent cap that cuts earned experience dramatically after characters reach certain levels. Those who love to grind excessively will be disappointed by this feature, but with the difficulty able to be adjusted at any time, those having problems can simply choose an easier setting. Characters are intricately detailed and animated, while the background has its own special touches such as the chalk drawings on the side of the wagon. 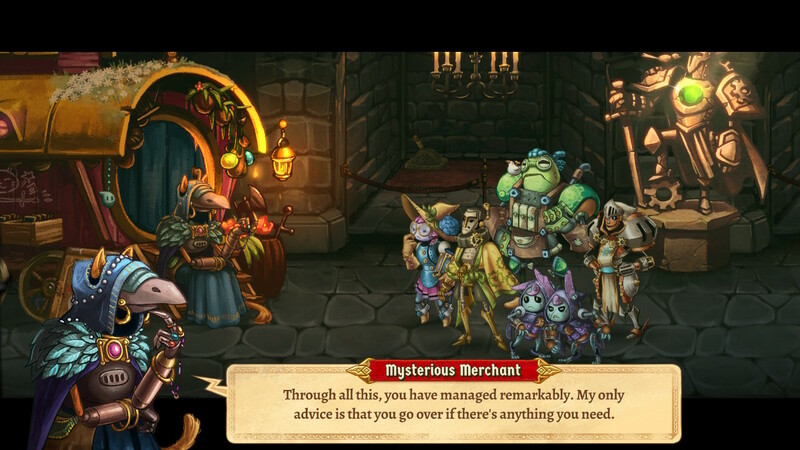 Graphics are another standout feature of SteamWorld Quest. Everything is beautifully animated in battle, from each attack and spell to every status ailment and reaction to physical blows. Character and monster designs are fanciful, vibrant, and fully articulated and animated in such a way that they each seem like unique creatures. At any given time players select one of their five characters as lead to walk around and interact with the world. One of the tiny but fascinating graphical details is watching the characters’ different styles of running, walking, and smashing crates. Galleo’s lumbering gait, Armilly’s heroic stride, and Tarah and Thayne’s scamper will have players switching between characters just to see how they act. Outside of character animations, the game also shines with small touches to the world around the players. Some chalk grafitti on the item shop wagon or a robot strolling alone far off in the background of an apple orchard aren’t always immediately noticed, but easily appreciated when they are. The auditory experience of SteamWorld Quest matches the visual one well. The music is pleasing to listen to and fits the mood of areas characters find themselves in. The game begins with a stroll through the woods and town to a tune that can best be described simply as medieval. There is some excellently voiced narration in the intro and at the beginning of chapters, but characters aren’t voiced. When the robots speak, their mumbles and jumbles are audio reminiscent of Charlie Brown’s parents and teachers in animated Peanuts cartoons. While perhaps some robotic voice acting similar to Apple’s Siri might have worked as well, the gobbledygook speech is hardly noticed past the first couple of chapters and just adds to the somewhat silly steampunk vibe of the game. SteamWorld Quest is an excellent fifteen-hour adventure filled with humor, well-designed gameplay, and vibrant, detailed graphics that make the relatable characters and world around them just pop. 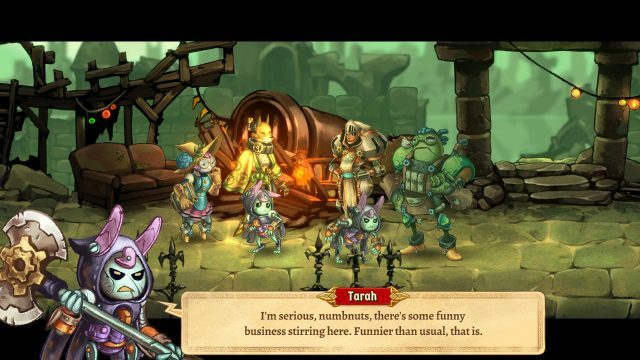 While this game might be on the radar for current fans of the SteamWorld universe, it should pique the interest of many fans of well-written, visually pretty RPGs as well. I’m delighted I got a chance to play this and now find myself interested in digging into the rest of Image & Form’s other titles. Square Enix has announced the release date for Kingdom Hearts III‘s Critical Mode. The added difficulty mode will be available on April 23, 2019, on PlayStation 4 and Xbox One. According to the game’s Twitter account, Critical Mode for Kingdom Hearts III will be different than in the series, though the announcement did not provide any specifics as to what has changed. Released earlier this year, Kingdom Hearts III is the long-awaited conclusion to the series. The game follows Sora, Donald, and Goofy as they search for Sora’s “power of waking” through familiar Disney worlds. For a more in-depth look at the game, Alex Fuller’s review can be read here. Echtra Games and Perfect World have unveiled the newest character class for their upcoming action RPG, Torchlight Frontiers. Wielding a massive hammer and literally laying tracks for his very own artillery train, the Railmaster joins previously-announced classes like the Forged and Dusk Mage. Taking control of the Railmaster also allows players to customize the combat loadout of his battle train. The game’s official site offers some more lore and development background on the newly-unveiled class. The Railmaster class will be available to players of Torchlight Frontiers‘ closed alpha build beginning on April 23, 2019, which interested players can still sign up for. An official release of the game is planned later in 2019 for PC, PlayStation 4, and Xbox One. The official launch trailer for Image & Form Games’ SteamWorld Quest: Hand of Gilgamech has been released. The trailer, viewable below, introduces the game’s leading ladies Armilly and Copernica, its graphical style, and its combat system. SteamWorld Quest is a turn-based, deck-building RPG that takes place in the same universe as previous games in the series. Card decks are fully upgradeable and customizable, and each character has a unique deck that players are able to construct for them. SteamWorld Quest is a Nintendo Switch eShop exclusive, and is releasing on April 25, 2019. Black Seven Studios’ Kingdom of Night is a 1980s-inspired action RPG set in small-town USA and the developer has begun a Kickstarter campaign for the title. 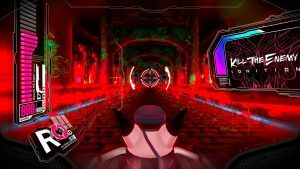 The game is being developed for PC, PlayStation 4, Xbox One, and Nintendo Switch, with DANGEN Entertainment signed on as publisher. Kingdom of Night takes place in the town of Watford, Arizona, in the year 198X, where a satanic cult has managed to summon the evil deity Baphomet and send the town into chaos. The game game stars local resident John, who sets out to rescue his kidnapped neighbour Ophelia. He is assisted by a mysterious girl named Strawberry who contacts him over the radio. At the start of the game, players will be able to choose to play as either a melee, ranged, or magic character. Each type of character has a skill tree split into three branches, each containing ten unlock talents. Once one of the branches is selected, players will be locked into that branch until they reach level ten, after which all branches are made available again. Multi-tiered equipment can be gained either as loot, quest rewards, or hidden items. Kingdom of Night‘s Kickstarter campaign has already surpassed its goal of $10,000, though numerous stretch goals have yet to be met. The campaign is set to run until May 19, 2019, with those who pledge at least $25 receiving a digital copy of the game as part of their backer rewards. The game is initially planned for release in late 2020. Pascal Tekaia examines Inti Creates’ mission-based, side-scrolling action RPG Dragon Marked for Death. The Switch title revolves specifically around the ideas of online multiplayer and complimentary character classes, though suffers greatly when others are not around. Michael Apps got the chance to try a build of Indivisible at PAX East, to see how the RPG from the creators of Skullgirls is shaping up. The game is coming to PC and consoles later this year. 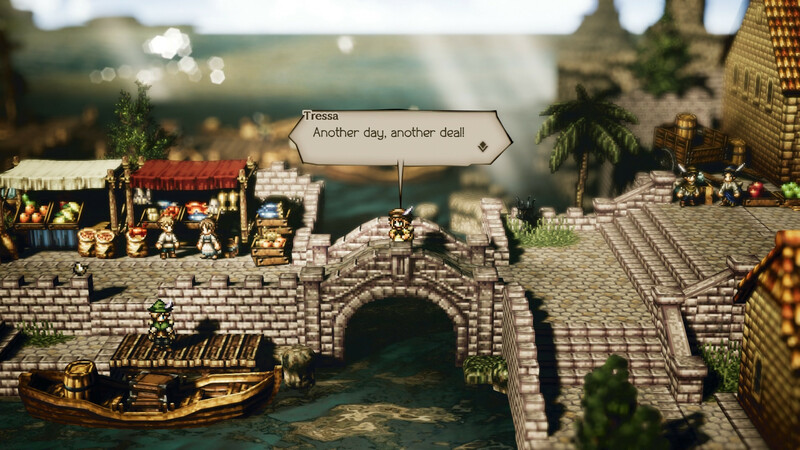 After accidentally leaking the announcement last week, Square Enix has confirmed a PC release for Octopath Traveler. The game will be released via Steam this June. 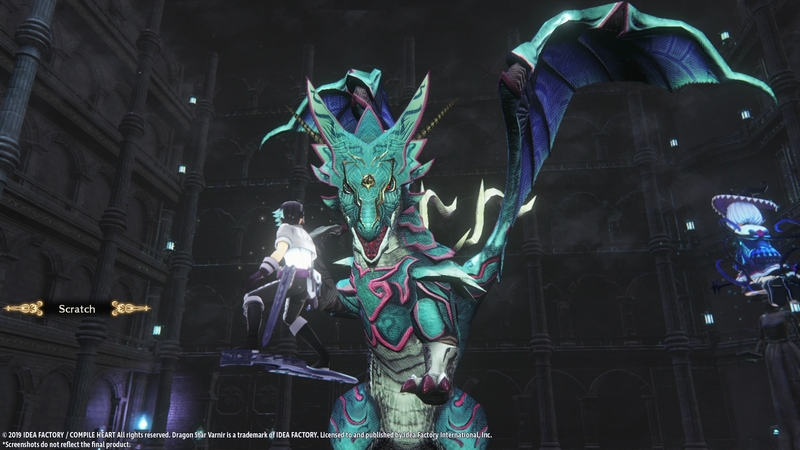 Idea Factory International has announced release dates for both PlayStation 4 title Dragon Star Varnir and the Steam version of Death end re;Quest. The publisher also put out some new media and details for the former title. Following the debut trailer for the Dragon Quest movie last week, the first trailer has been released for the upcoming Ni no Kuni movie. A near-fatal car accident leaves a group of friends searching for answers that ultimately send them on a magical adventure. Marvel’s Ultimate Alliance series finally gets a new title this year. Nintendo and Koei Temco revealed the heroes are teaming back up on Nintendo Switch in July. Ysbryd Games and Witching Hour Studios’ Venetian-inspired RPG Masquerada: Songs and Shadows is coming to Nintendo Switch. The Switch version will join the existing PC and console releases in May. A quick glance at the Yo-kai Watch games might superficially indicate nothing more than another portable monster collection title, but there’s quite a bit more to distinguish them. 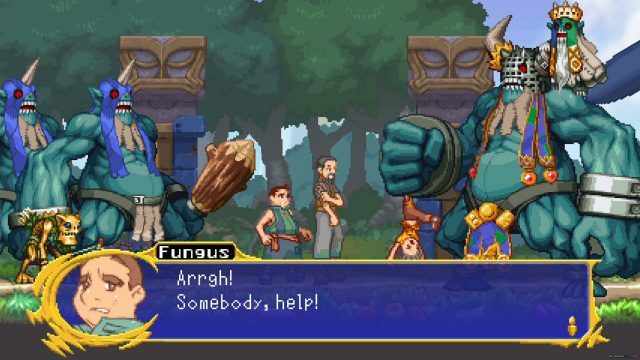 RPG Backtrack’s look at the first two games in the series requires mention of quite a few puns. Nihon Falcom announced that Ys VIII: Lacrimosa of Dana is being ported to smartphones. Linekong Entertainment Technology is handling the publishing for the iOS and Android versions. No release date has been provided at this time. Ys VIII is an action RPG that centers around series protagonist Adol Christin. The smartphone version joins the numerous other consoles Ys VIII has been playable on, such as the PlayStation 4, Vita, Switch, and PC. One-man Japanese indie developer Picorinne Soft and publisher DANGEN Entertainment have announced the upcoming release of Disc Creatures, a monster-collecting RPG that pays tribute to the handheld titles that pioneered the genre. Players take on the role of a Disc Ranger and explore a world represented with iconic retro-style graphics and a chiptune soundtrack. With two hundred monsters to tame, collect, and grow via unique skill trees, the game promises upwards of twenty hours of gameplay. Disc Creatures is confirmed for a 2019 release, though no firm date has yet been announced. The game will be available for PC. Taiwanese developer CreAct Games and publisher Another Indie have announced the upcoming arrival of an all-new action RPG with roguelike elements. Neverinth: The Never Ending Labyrinth invites players to explore a post-apocalyptic Norse mythology on Steam Early Access later this month. Ragnarok has come and gone, the Norse gods are dead, and the world has ended. In a last effort to save the world and rebuild the sacred halls of Valhalla, Yggdrasill, the world tree, has summoned a daring Valkyrie to enter the eponymous labyrinth and face the challenges within. Neverinth will feature fast-paced combat, allowing players to unlock the weapons and skills of the fallen gods to help conquer the ever-changing labyrinth. Each of the five Valkyries, two of whom will be playable during the game’s Early Access phase, will have unique abilities and histories to uncover. Neverinth will be available for PC on April 30, 2019. Sega has released new details and screenshots for its recently-announced revival of the Sakura Wars series. 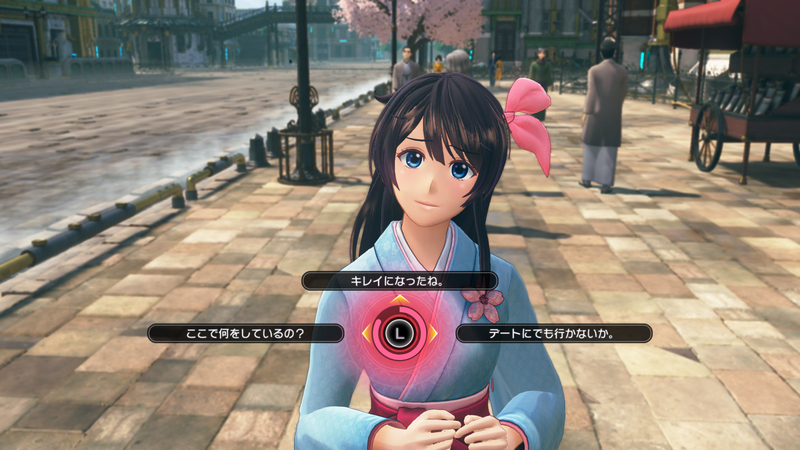 The new update for the game, which is currently under the working title Project Sakura Wars, provides some more details on the game’s story, as well as revealing a couple of returning systems. 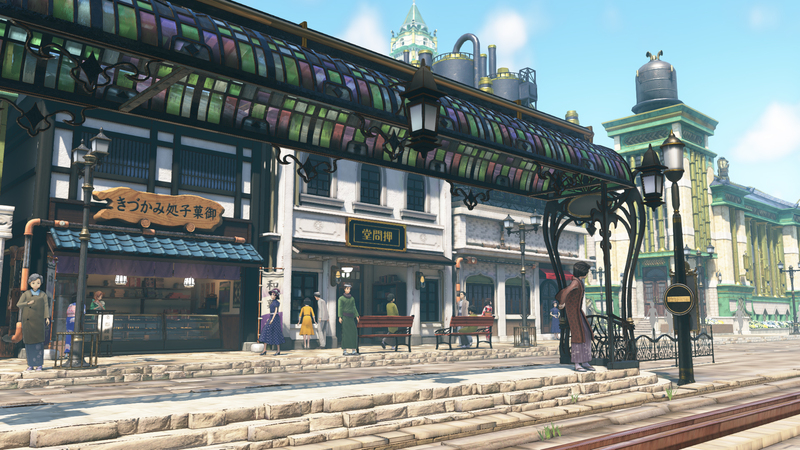 The game is set in an alternate world in Taisho Year 29, which would be the real-world equivalent of 1940 had the Taisho era not ended with the passing of the emperor in 1926 (Taisho Year 15). The game takes place twelve years after the events of Sakura Wars: So Love, My Love and ten years after the Great Kouma War, during which forces from Tokyo, Paris, and New York saved the world from supernatural threats. Following that victory, during which those Combat Revues that saved the world using mechas were annihilated, the World Combat Revue Federation was established, forming new Combat Revues in cities around the world. The Federation organises a biennial tournament where Combat Revue compete in performance and battle competitions. The Tokyo Combat Revue has finally been resurrected in time for the latest tournament, however, the supernatural threat will reemerge. 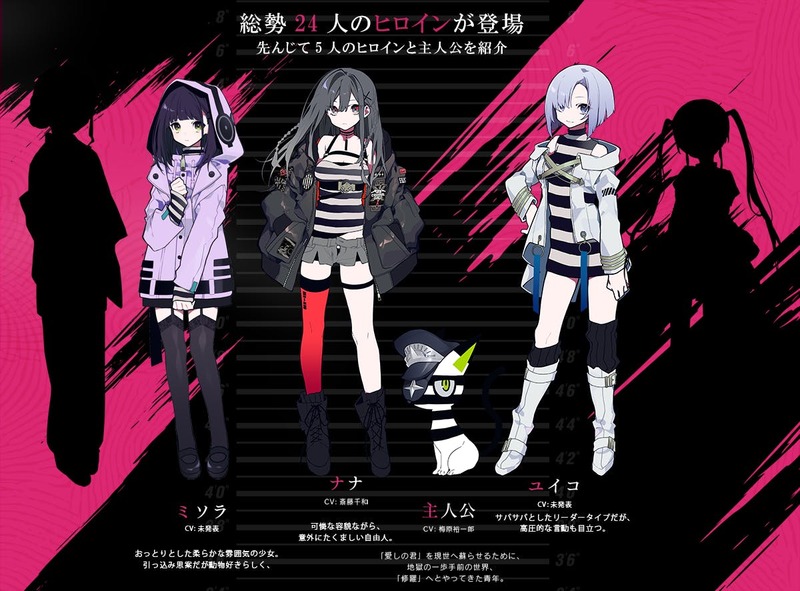 Players control new protagonist Seijuurou Kamiyama, who becomes the commander of the Tokyo Combat Revue. Like preivous titles, the game is split between adventure portions and combat portions. 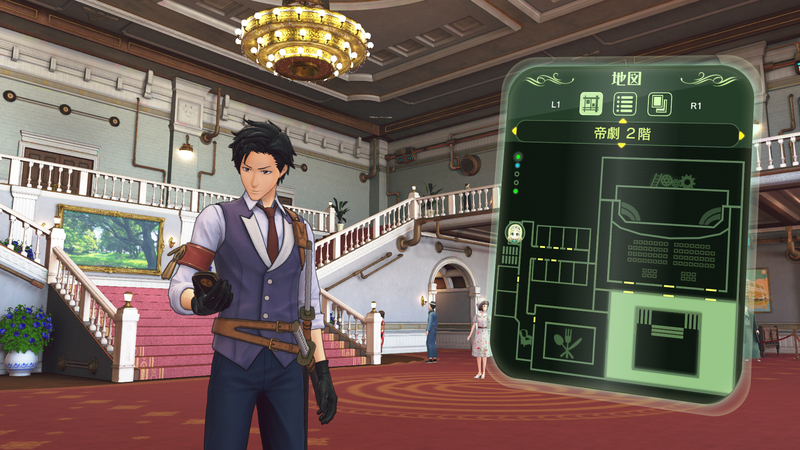 During adventure portions, players will be able to freely run around the Revue’s theatre HQ and the streets of Ginza. 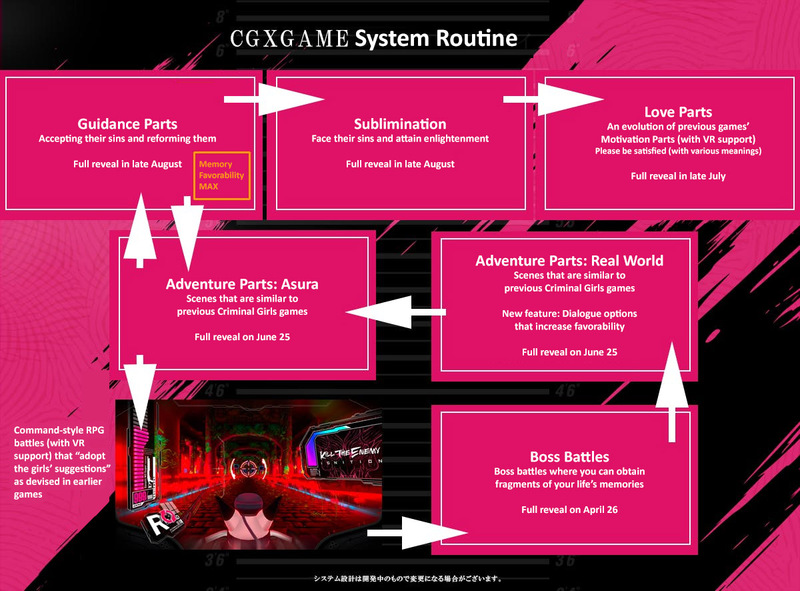 Players will be able to participate in events and build their relationships with other characters, which the series’ familiar LIPS and trust systems returning for the new game. 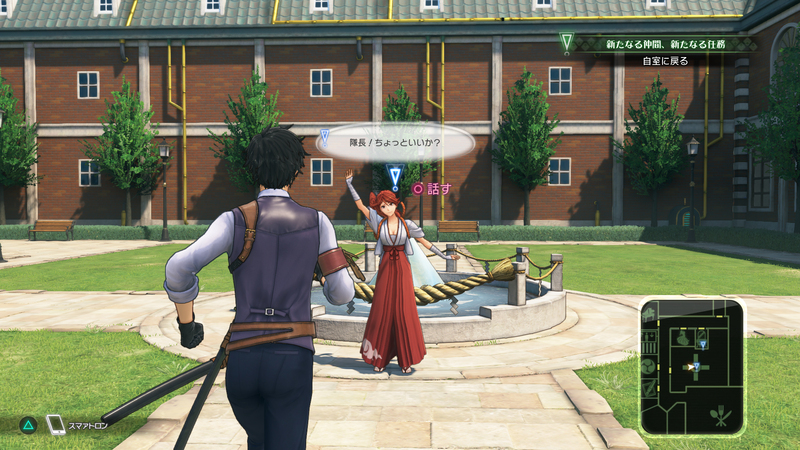 Project Sakura Wars is being developed exclusively for PlayStation 4. 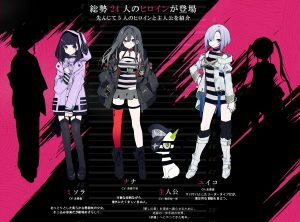 The game is planned for release in Japan in winter 2019, with a western release confirmed for spring 2020. Circle Entertainment and Something Classic Games have announced that Shadows of Adam will be released on Nintendo Switch on May 3, 2019. The retro RPG will be available to pre-order on the eShop from April 26, 2019, with those who do so receiving a 10% discount on its standard price of $14.99/€14.99. Shadows of Adam is billed as a modern take on SNES-era JRPGs. The game was originally released for PC, Mac, and Linux in 2017 with Guild of the Artificers DLC released later in the year that added new content including a New Game Plus mode and a battle arena. The Nintendo Switch version will include both the base game and the Guild of the Artificers DLC. Japanese developer Aiming Inc. has announced that it will be releasing its free-to-play MMORPG Caravan Stories on PlayStation 4 in North America in July 2019. 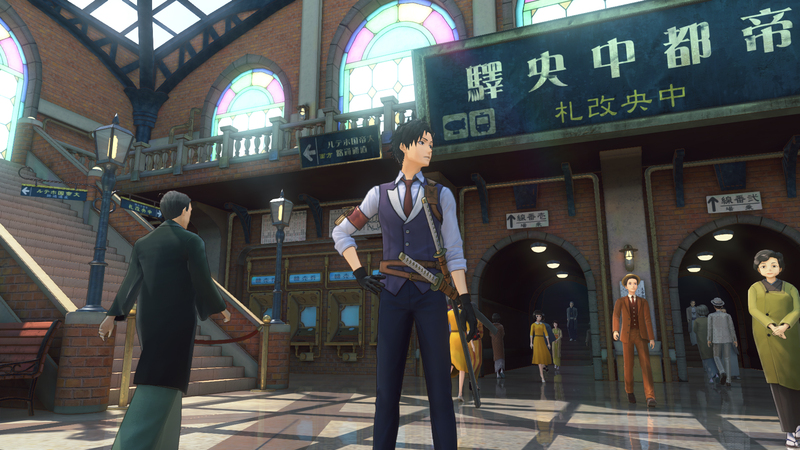 The game was originally released as a smartphone title in Japan in 2017, with a PC version released in 2018 and a Chinese version released later that year. The PlayStation 4 version was released in Japan earlier this month. 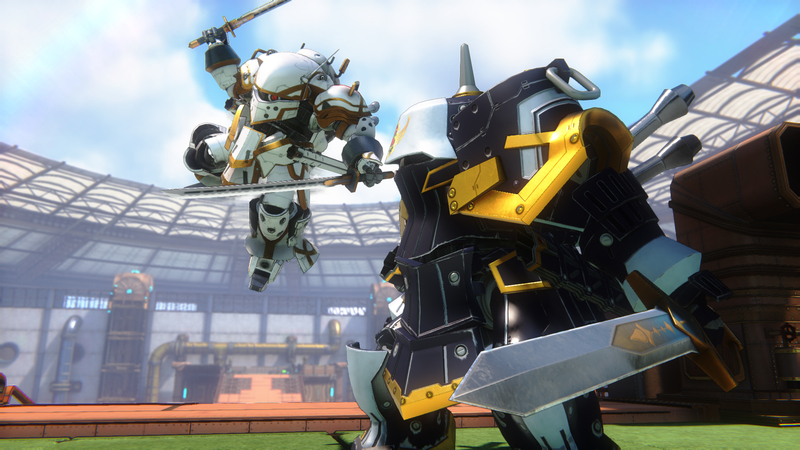 Players can choose from six races for their character, each with its own storyline, and recruit from over 300 allies for both PvE and PvP modes. Players from a party of up to six members from their recruited allies, each with their own skill sets. The game sees players fighting back against and protecting the world of Iyarr from the demons that emerge from a gate called the Enigma. More details can be found on Caravan Stories‘ English teaser site. Eko Software has launched the second closed beta for its upcoming action RPG Warhammer: Chaosbane. The beta will run on PlayStation 4, Xbox One, and PC from April 18, 2019, through April 24, 2019, for all players who have pre-ordered the game. Pre-orders will be open through the game’s website for those who would like to participate in the beta. In the second beta, players will be able to play through the first three missions of Act II, including an improved Act I based off of feedback from the previous beta. Four classes will be available to try: the Imperial Soldier, the High-Elf Mage, the Dwarf Slayer, and the Wood-Elf Archer. Characters can be leveled to twenty-five and cooperative play will be available both online and off. Warhammer: Chaosbane will see full release on the aforementioned platforms on June 4, 2019. The Magnus and Digital Deluxe editions of the game will have four days early access and will launch on May 31, 2019. I wish I could have played Dragon Marked for Death when it first released on the Switch as a digital release back in January of this year. Not because it necessarily sounds like a must-play concept, though the experiment to balance a mission-based, side-scrolling action RPG specifically around the ideas of online multiplayer and complimentary character classes does sound like a bit of a gas. Rather, it would have been nice to see the game in its short-lived prime, back when there was life to be found on the matchmaking servers and it was possible to find others to party with. Now, however, with its physical release, the game’s servers feel like barren wastelands, and those who venture in will be doomed to play it as it was never intended: alone. 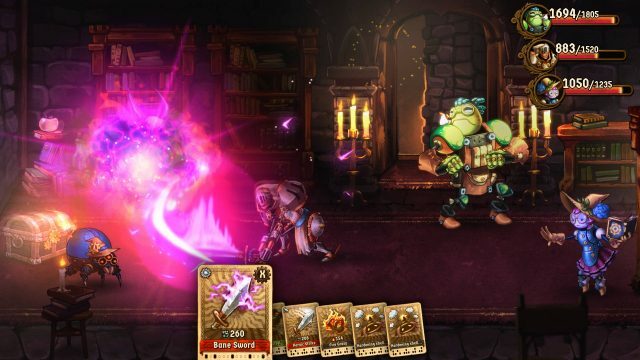 The game gives players four classes to choose from, which were bundled two apiece in separate versions for its digital release. Whether playing as Empress, Warrior, Shinobi, or Witch, the player takes on the role of one of the last survivors of the Dragonblood Clan, which has been wiped out by the realm’s Divine Family. Sent on a path of revenge by the Astral Dragon Atruum, it is up to the player to earn the right to a royal audience to carry out swift justice. As it turns out, the only way to be invited to an audience is to head to the local tavern and carry out menial tasks and missions from various otherwise unimportant townsfolk, again and again, gaining levels and collecting gear in a cycle of repetitive boredom. 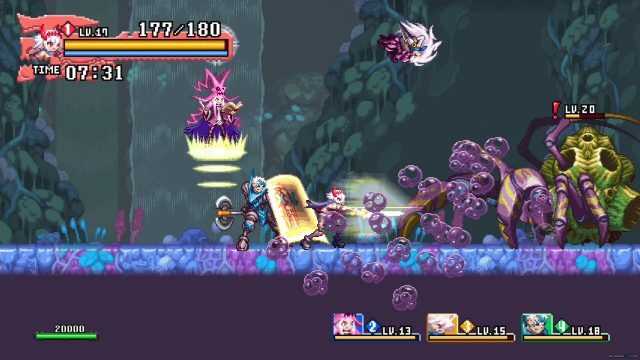 There’s nothing wrong with a bit of grindy busywork, but Dragon Marked for Death takes this notion to its extreme. Barring the final two missions, the entire game is a slog through overlong hack-and-slash levels and superficial character growth consisting primarily of swapping pieces of gear and allocating the occasional stat point, with story beats completely divorced from the actual narrative. Those looking for an engaging narrative should run-not-walk elsewhere, as the only joy to be found here lies in tinkering with different character builds to take back into the same well-worn levels. Even this is rather dull without a dedicated group of friends along for the ride, which requires multiple copies of the game being played on multiple Switch consoles due to the baffling omission of local couch co-op. Considering the game is balanced around the four character classes supporting each other, this is a grievous misstep that all but ensured a swift demise for the game’s online component. Looks like fun. Too bad it’s a case of “party sold separately”. Missions follow the same hack-and-slash and random loot drop gameplay formulas, always enticing players to hope for that one elusive new artifact or stronger weapon. While gameplay doesn’t deviate much from moment to moment, at least the narrative setup behind missions is at least marginally fresh. Whether saving a village harangued by bloodthirsty ogres, retrieving a long-lost relic of an ancient civilization from a buried tomb, or defeating Cthulhu himself to retrieve a sacred statue from his innards, each quest sounds like it could have something interesting to add to the overall narrative, even if none of these ideas are ever more than skin-deep. It isn’t long, however, before the lengthy stages begin to get reused, with only slight tweaks such as a new starting point or barriers that seal off or open up specific sections of the map. 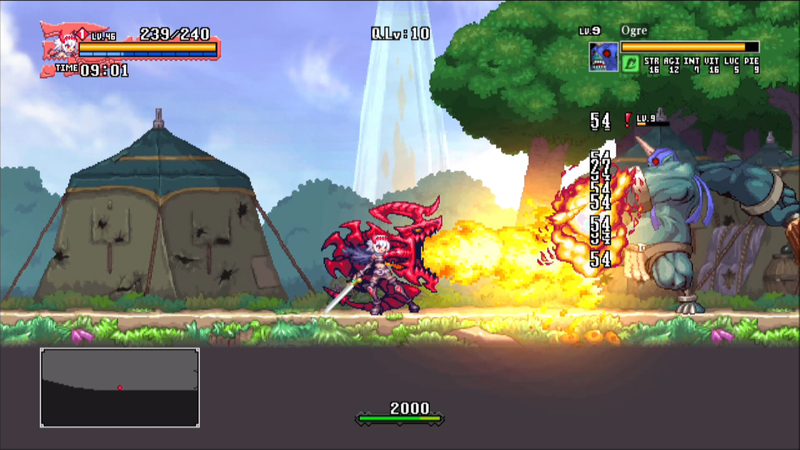 Dragon Marked for Death expects its players to play the same missions over and over again, allowing for the mission to be reselected at higher and higher difficulties once it’s been completed the first time. In fact, replaying missions is just about mandatory, as some difficulty spikes — particularly an end-game one leading to the final boss — require level grinding, and new missions simply stop appearing after a certain point. 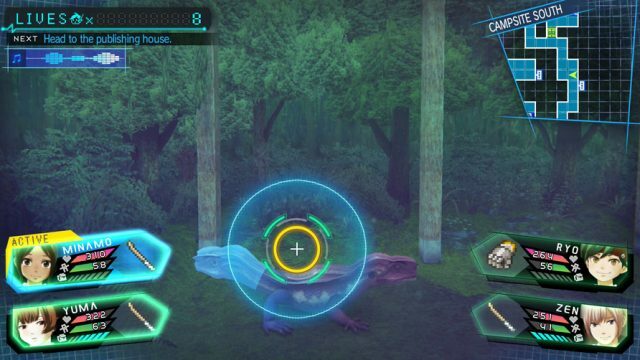 In order just to access the game’s final couple of missions, certain prerequisite objectives in specific missions have to have been met, though there’s no indication what the objectives are or in which levels they must be completed. The level of each mission’s difficulty can be raised far beyond what is necessary to finish the game, making it clear that this gameplay loop is the true purpose of the game for those interested in the constant grind. A nice touch, at least, is the fact that boss behaviors and movesets evolve at higher difficulties, offering some proof that the developers put at least that much thought into their designs. Detailed and colorful environments and pixel-art character designs really pop off the screen. A good showing is made in terms of graphics and musical quality, even if having the missions on a constant loop like this means players will see the same level designs again and again. Dragon Marked for Death features high-quality spritework and impressive pixel-art character designs and environments. Bosses can be large in scale, and level art is just all-around vibrant and colorful. Music, too, is easy on the ears, though the unending combat shouts can be a real cause for annoyance. Apart from those, and a few basic utterances of townsfolk, voice acting is otherwise absent from the title. The right person can find some level of enjoyment with Dragon Marked for Death. Unfortunately, the right person is likely somebody who has supplied a group of their own friends with copies of the game to join in on-line co-op, or else just has a hankering for stat-tuning and mission grinding. To the average gamer, the game’s repetitive nature in the face of its overall lack of multiplayer alternatives will spell anathema. Online games aren’t designed to put their best face forward when played solo, and it sadly seems this game’s timer is already ticking dangerously close towards its expiration date.